Around the same time, M Visveswaraya (1861-1962), the engineer-civil servant from Mysore, was pioneering the ideas for economic planning in India. Writing in the aftermath of the First World War, Visveswaraya advocated the need for national plans (in the political, economic and social spheres), as well as the desirability of working out the national destiny.3 His vision of developing a new kind of ‘Indian mind’ resonated with Jawaharlal Nehru’s vision of economic and social development through large-scale industrialisation (see Image 3). 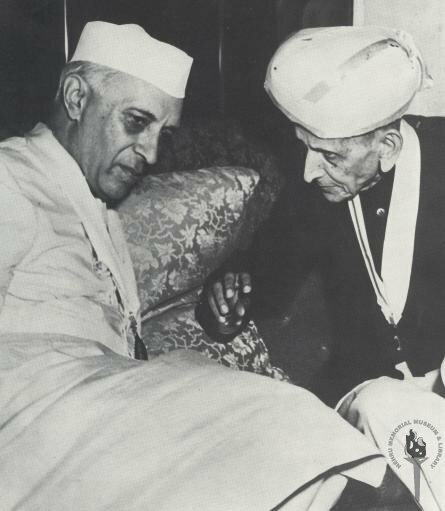 Nehru (1889-1964) often acknowledged how Visveswaraya’s writings were instrumental in shaping his own thoughts about India’s economic and social future, although the two would disagree about the extent of centralised planning that was necessary. The nationalist visions intrigued me as I was looking into the significance of technology in governance, nationalist thought and plans for India’s economic development after 1947. 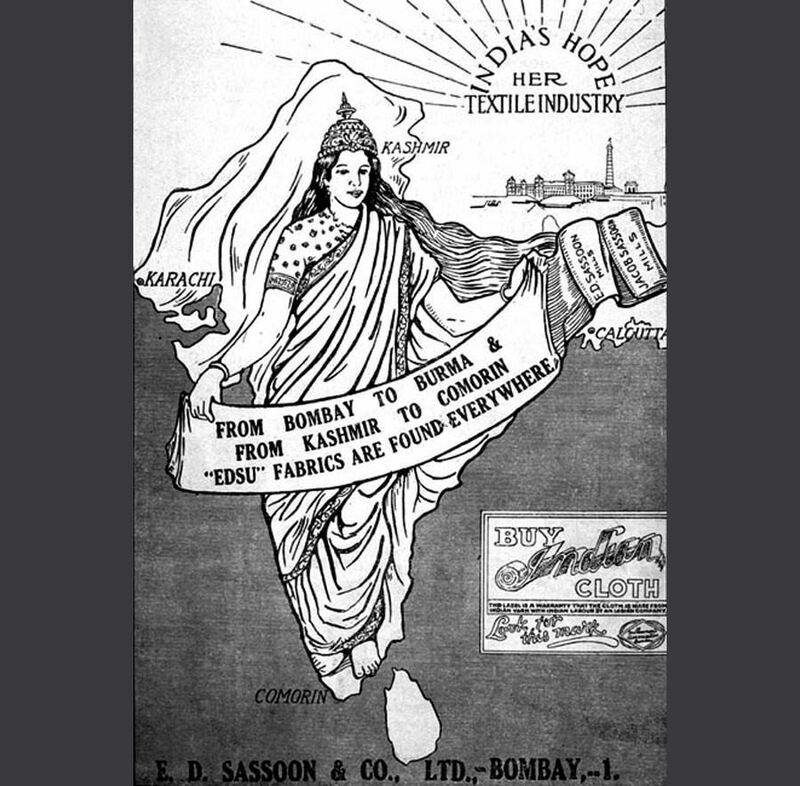 In writing my article ‘Rethinking Metrology, Nationalism and Development in India, 1833-1956,’ (Past & Present No. 239 May 2018), I wanted to link the technology that shaped the mundane, everyday practices of people to the profound and esoteric ideas of some of the nationalists. Historical metrology, or systems of weights and measures in the past, became a lens through which I could gaze at both the mundane as well as the profound and examine how they were linked in the minds of the people I was interested in studying. 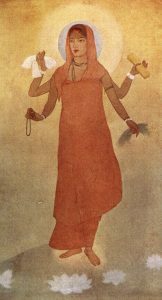 Using metrology as my lens, I could examine not only how systems of measurements were used as instruments of rule and governance by colonial governments, but also how they were invoked by nationalists to give form to their visions of India as a unified political, social and economic space. Such a technology of the everyday was appropriated in discourses that could lay out in simple, easily understood terms what independent India could be and what needed to be done to ‘urgently’ lift the new nation out of the low living standards and poverty.4 The ‘emotional’ arguments that Nehru and others proposed melded the technocratic approach favoured by engineers, statisticians and economists together with the resurrection or preservation of traditional ways of ‘doing things’ from India’s past. It is this melding together that sets apart the case of India’s developmental approach in the mid-twentieth century. However, this narrative can be better understood if it is adequately historicised in the context of India’s colonial history. In my own way, I have tried to do just that in the article. Looking into the past to gaze at a possible future is not unique to the historical actors I study in my article. We are beginning to appreciate how economic actors factor narratives about the past into their visions about expected futures: the act of making a financial investment (buying a house or setting up a business venture) often requires some assessment of risk versus gain.5 This assessment is based on historical knowledge as much as it is based on expectations about the future. The degree and manner to which past narratives form part of future expectations may differ, and the techniques used may differ as well (not every house buyer uses a formal financial model to inform their decision). Nonetheless, narratives about (and from) the past are used to give form to expectations about the future. One intriguing question this raises is what do people do when narratives about the past are incomplete or have missing bits? Historians examining spatial scales have found that actors visualising ‘wholes’ often have to depend upon fragmented ‘parts’ to make up the complete picture: the missing bits are often simply filled-in.6 Do people do the same with missing information about the past? As I show in my article, India’s nationalist rulers wanted to prepare for the future by looking into its past to resurrect some ideas, whilst ridding themselves of other ideas that fettered the nation. This experiment is still on-going in the twenty-first century. The recent wave of right-wing, fundamentalist nationalism has seen some revival of historical sources of communal, religious and racial tensions. Images of Hindu chariots and deities jostle for political and social attention alongside images of cities peppered with modern high-rise constructions. What such visualisations unfold for the future remains to be seen. 2See https://g.co/arts/jdbe8pwweftfpgkg7 for examples of Nandalal Bose’s murals. 4P C Mahalanobis, ‘Some observations on the process of growth of national income,’ Sankhya: The Indian Journal of Statistics (1933-1960) 12 (1953), 307-12. The Mahalanobis development model would be hugely influential in post-independence economic planning. 5See such notions see Jens Beckert, Imagined Futures: fictional expectations and capitalist dynamics (Cambridge, MA 2016); Jonathan Levy, “Capital as Process and the History of Capitalism.” Business History Review 91, (2017), 483–510. 6Mary S Morgan, ‘Seeking Parts, Looking for wholes,’ in Lorraine Daston and Elizabeth Lunbeck (eds.) Histories of Scientific Observation (Chicago and London, 2011), 303-325. 7I have set out these ideas in a separate essay: ‘Imagining Economic Space in Colonial India,’ Research in the History of Economic Thought and Methodology 36B (2018), 109-128.